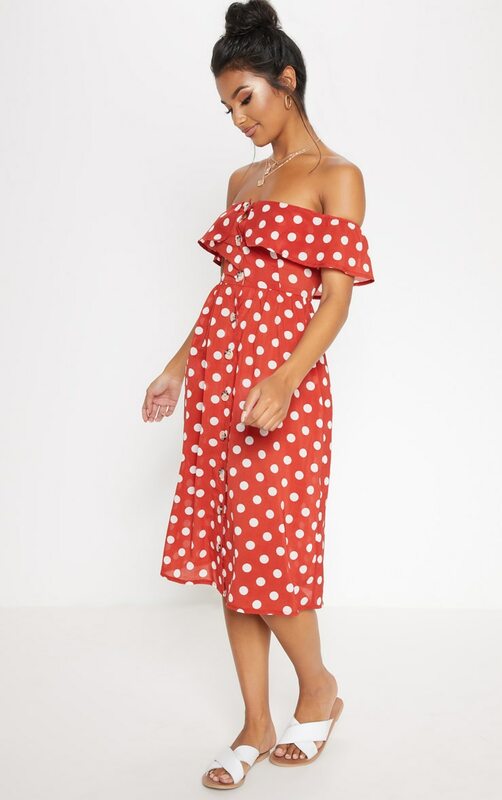 We are obsessing over polka dots this season and this dress is perfect for any occasion. 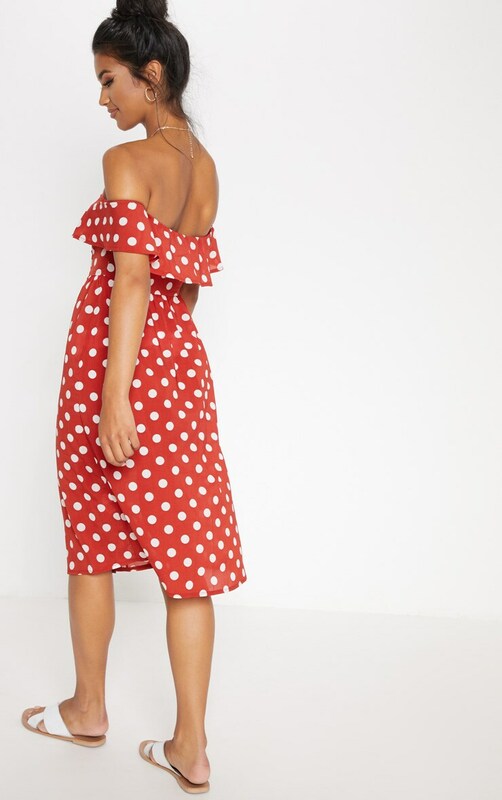 Featuring a burnt orange material with a contrasting white polka dot design, a button up fastening and a bardot neckline. 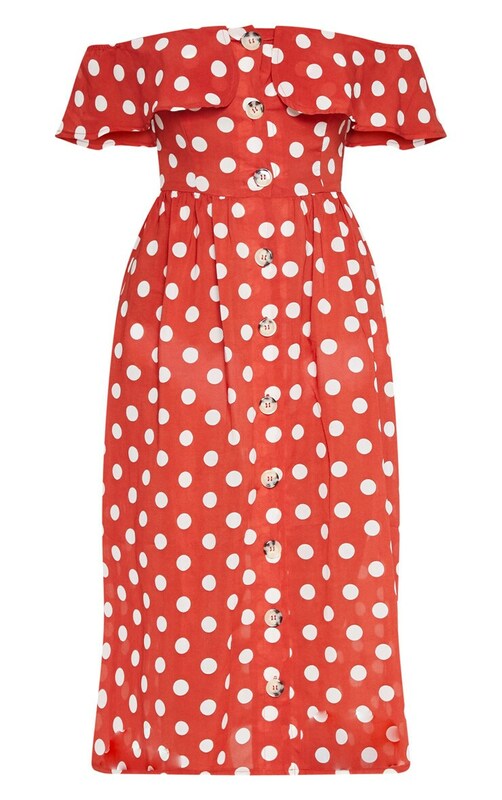 Style this dress with slip-on sandals and a pendant necklace for a summer loving look.